Lei ha 26 anni, e Google gli ha dato una borsa di studio per poter continuare a scrivere un codice Open Source per il sistema di navigazione satellitare europeo Galileo. Il software Open Source a cui sta lavorando Mara Branzanti, la giovane laureanda in Geomantica, aiuterà ad interfacciarsi al nuovo sistema GPS Galileo, ritenuto dagli esperti, come il migliore sistema di navigazione per il futuro. 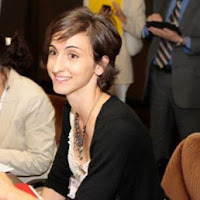 Mara Branzanti, 26 year old, student in Geomatics at the University 'La Sapienza of Rome, and' among the winners of the Google Summer of Code 2013 - the global program that offers students the opportunity 'to take advantage of scholarships to write codes for various open source software projects. Since 2005, year of establishment today, the Google Summer of Code saw a participation of about 6,000 students and over 3,000 mentors from 100 countries. The design of the Branzanti, funded by Google, is 'to write software that will make' more 'faster and more easy use of the EU's global satellite navigation system Galileo. The Galileo program, worth € 5 billion and so called 'just in honor of the Italian astronomer Galileo Galilei, and' implemented by the European Union and the European Space Agency with the aim of providing a positioning system high precision on which European nations can rely independent from the systems of Russia and the United States. Mara Branzanti a passion for roller skating (part of the Roma Roller Team) is collaborating in the writing of an open source software that will allow 'to the satellite receivers on the ground to find the signal of the Galileo satellite in orbit more' close, even by the greatest places 'remote. His work is part of a project more 'big headed by Javier Arribas at the Catalan Foundation for Research non-profit Centre Tecnologic Telecomunicacions de Catalunya. The European Commission has recently recalled the contribution of Mara.